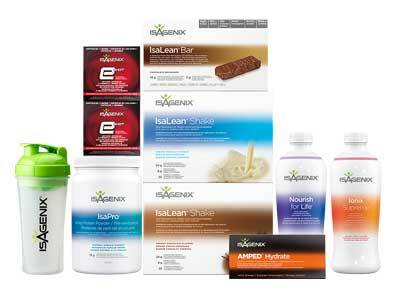 Isagenix 30 Day Energy & Performance System £ £213.00In stock! Order now! Are you looking to transform your body and your lifestyle but need an energy and performance boost? The Isagenix 30 Day Energy & Performance System may be the solution you’ve been looking for. 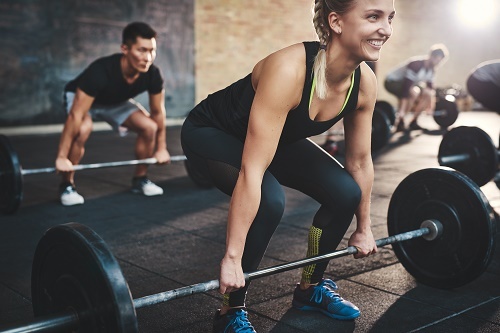 Proven to help you burn fat, build lean muscle, boost your energy, and help you recover faster in between workouts, it’s the perfect tool for embarking on the challenge to look and feel your very best. Download the Isagenix Energy & Performance Guide for more information on how this pack works, the results you can expect, product information and more. 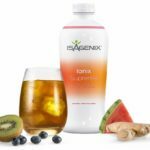 The 30 Day Energy & Performance System features carefully selected Isagenix products proven to boost energy, cleanse the body, and help it perform at its very best. 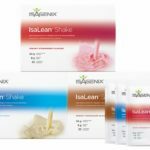 With a 30 day supply of IsaLean Shakes, IsaPro Shakes, Ionix Supreme, e-Shots, AMPED Hydrate, and the newly released IsaLean Bars, it provides everything you need to cleanse your body and provide it with the fuel it needs for peak performance. Much more than an ordinary meal replacement shake, this scientifically formulated shake contains premium whey protein for lean muscle growth, complex carbohydrates, healthy fats, and over 70 minerals and active enzymes for perfectly balanced daily nutrition. Each shake contains 24 grams of ultra-high-quality protein from happy and healthy grass-fed New Zealand cows. The latest addition to the UK range, IsaPro shakes allow you to build lean muscle and recover faster. This pack has recently changed to incorporate this new product! Each shake contains 18 grams of ultra-high-quality whey protein and is packed full of BCAAs. Much more than a mere energy drink, Ionix Supreme utilises a proven blend of scientifically formulated adaptogenic herbs to boost your energy levels, neutralise stress, and help rid your body of damaging toxins. Enjoy fresh from the fridge by itself, or mix with cold water. 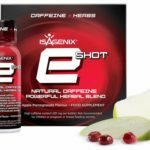 Isagenix e-Shots feature plant-based caffeine and are loaded with nutrients to provide you with a naturally caffeinated boost whenever you need it. This combination of green tea, yerba mate, and a proven blend of adaptogenic botanicals has been proven to safely and effectively increase energy levels, stamina, and mental alertness. 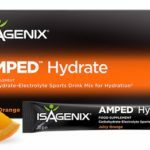 Designed to be the ultimate sports drink, AMPED Hydrate re-energises and re-hydrates the body for improved performance and post-workout recovery time. Its specialised blend of fast-acting carbs, complex B vitamins, electrolytes, and vitamin C will help you maximise your workouts and get the most out of the 30 Day Energy & Performance System. Another new addition to the Isagenix UK range. 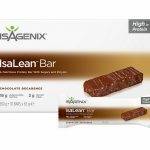 IsaLean bars are available in delicious chocolate decadence flavour and deliver 18g of high quality protein to your body. These tasty bars also provide the pre-workout fuel your body needs for sustained energy and enhanced athletic performance. What Makes the 30 Day Energy & Performance System So Unique? 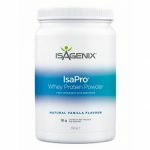 This powerfully effective Isagenix system contains a unique combination of products and ingredients proven to cleanse the body, increase energy levels, boost performance, and promote improved health. Needless to say, it’s an ideal solution for anyone wanting long-lasting fitness, health, and results. How Much is the Energy 30 Day Pack? Preferred Customer on Autoship =£213.00 sign up fee. Sign up to the Autoship programme to have access to the cheapest wholesale prices year round and get your Isagenix programme delivered straight to your door every month. Autoship can be cancelled at any time, even after you take advantage of the cheaper prices on your first order! There are no locked in contracts of any sort. Preferred Customer =£226.00 sign up fee. You can still get access to cheaper than retail prices, however this option will cost more than signing up to the autoship programme. Customer =£271.00. No annual fee and you’ll save 10% off full retail prices. By being on autoship you’ll save an additional 5% on any pack or system. Full Retail =£301.00. If you prefer not to sign up for autoship or pay an annual fee, you can purchase the products at full retail price. Read Isagenix 30 Day Energy & Performance System reviews from real Isagenix UK customers!